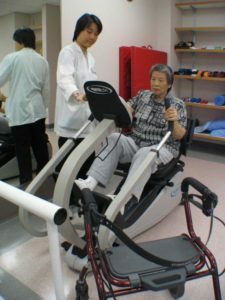 Yee Hong provides a wide range of medical services to meet the health care needs of seniors and others. It adopts a holistic approach to health care through a multi-disciplinary team with emphasis on treatment, prevention and education. Yee Hong’s medical services comprise Medical Clinic Services and the Memory Program. Consultations are by appointments only. For inquiries and appointments, please contact the Yee Hong Scarborough McNicoll Medical Centre. Our Memory Program is the first and only memory program offering Chinese and English cognitive tests in the Greater Toronto Area. 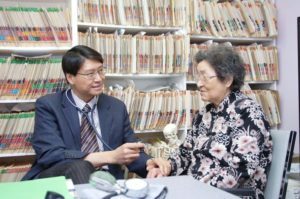 Dr. Gabriel Chan, geriatrician and founder of the program, and Dr. Joyce Lee, assisted by a nurse and social worker, assess seniors with symptoms of memory decline and provide treatment and care recommendations for referring physicians, patients and families. Seniors who require assistance will be referred to Yee Hong’s Client Intervention & Assistance social workers. Consultations are provided in response to physician referrals only. For inquiries and appointments, please contact the Memory Program.